Mars Petcare announced its plans to acquire European veterinary group AniCura. 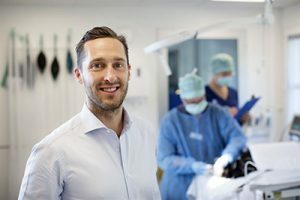 Founded in 2011 as the first merger of animal hospitals in the Nordic region, AniCura includes more than 4,000 veterinary professionals and 200 animal hospitals in seven countries across Europe, seeing two million pets every year, according to the company. Mars Petcare employs approximately 50,000 veterinary professionals and cares for more than 10 million pets annually. “Together, Mars Petcare and AniCura will both be in a position to benefit from each other’s best practices and competencies, improving clinical practice and continuing to advance the veterinary profession in both North America and Europe,” according to a statement by Mars. Mars’ acquisition of AniCura isn’t the company’s first acquisition across the pond. Also this month Mars announced its acquisition of U.K.-based veterinary group Linnaeus. Both groups join the company’s veterinary health business units, which include VCA Animal Hospitals, Banfield Pet Hospital, BluePearl Veterinary Partners, and Pet Partners. “Over the past years, with support from Nordic Capital and its additional owners, AniCura has grown to become a leading European provider of high-quality veterinary care, well-known for its focus on people, customer care and quality,” said Peter Dahlberg, CEO, AniCura. The transaction is expected to be completed at the end of this year. On completion of the deal, AniCura’s existing management will continue to lead the business.